Our program will traverse some of the world's most unique biodiversity hotspots along the Southern Cape. We will begin with an initial examination of the region's amazing natural history and biogeography, while evaluating the social-ecological interfaces which have defined the area as being the birthplace of our first human ancestors. The Southern Cape is well-known for its rich coastal and marine life, from diverse intertidal zones to charismatic marine wildlife, such as pelagic birds, seals, sharks, dolphins and whales, which thrive off these richly productive waters. 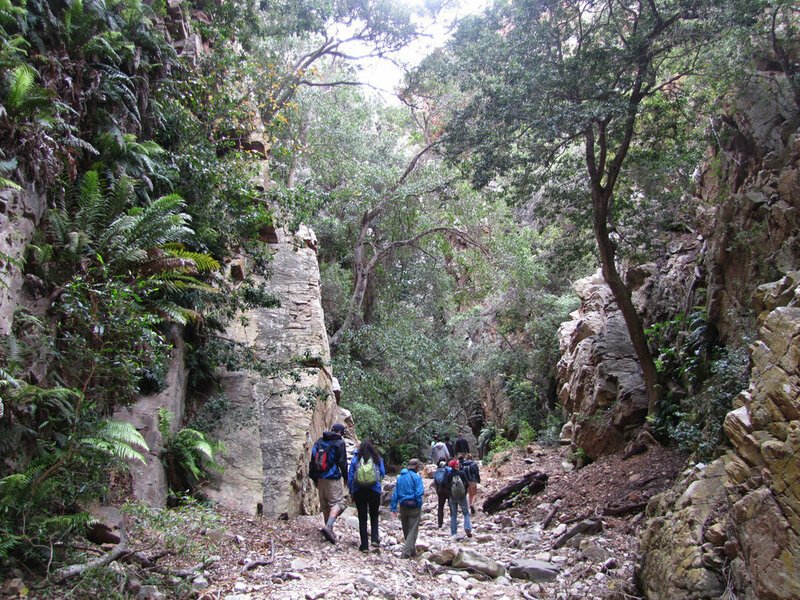 Our field work will move between sandy shores, intertidal zones, Mediterranean shrubland (fynbos) and Afrotemperate coastal forests, to spectacular rocky cliffs and slot canyons. We will study cutting-edge scientific research, conservation action initiatives, challenges in ecosystem management and emergent opportunities for deepening human understanding in these important areas. Our field studies will then move inland to examine ancient ecosystems which support an array of mega-fauna that have roamed the continent for millennia but now face complex conservation conundrums, from increasing habitat fragmentation to incessant poaching. As we conduct wildlife surveys and ecological monitoring we will encounter contrasting perspectives on ecological restoration and sustainable resource utilization. We will discuss and evaluate whether these approaches benefit or impede the management of threatened and recovering wildlife populations, which may challenge our preconceived ideas of conservation. An overarching goal of the course is to fine-tune our scientific and field naturalist skills across diverse environments. We will sharpen our observational, sensory, interrogative and analytical skills by becoming intimate with our surroundings. 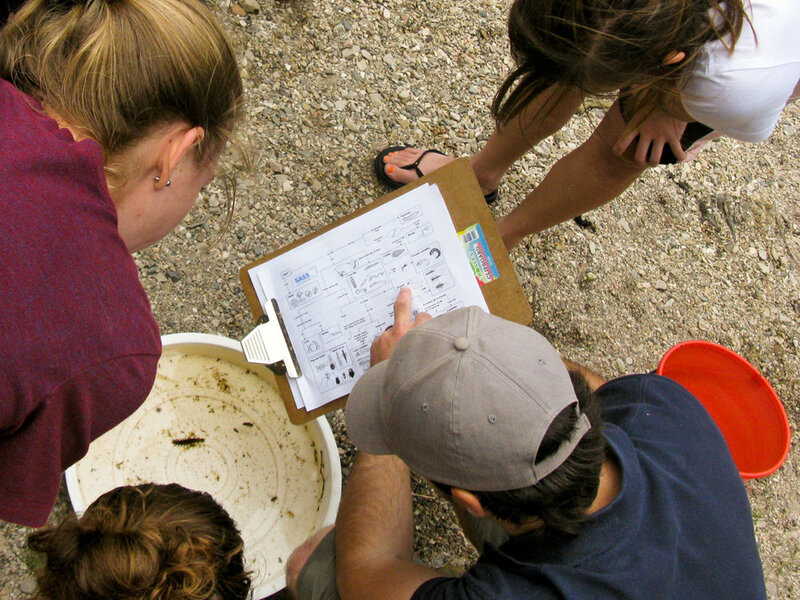 Aided by the use of field guide keys, we will learn to identify resident wildlife species through various techniques, from physical traits and tracks to calls and nuances in behavior. We will join local organizations and participate in ongoing wildlife monitoring efforts to help further our understanding of the dynamics of these iconic African land and seascapes, including the sensitive and entangled interface between human and wildlife communities. Through this program each of us will take part in an integral approach to ecology—one that instills a deeper understanding in identifying, addressing and uniting the multiple perspectives available for learning about, relating to and engaging with the natural world. Daniel is a conservation biologist in South Africa where he has worked as the conservation manager of Kuzuko Game Park and later as the Program Director of the Nature’s Valley Trust, a community initiative dedicated to conservation and education on one of South Africa’s most sought after coastlines. A seasoned traveler and avian researcher, Daniel has investigated the decline of Martial eagles in South Africa and served as a resident naturalist in the Peruvian Amazon where he studied birds as environmental indicators. Combining his passion for landscape conservation with his ornithological interests, he is now completing his PhD research on the impacts of fragmentation on the pollination efficiency of sunbirds and sugarbirds on ericas and proteas in the South African fynbos. Daniel will lead our South Africa program in Spring 2019.